The BJP wishes to use Kashmir as a cornerstone of a bid to return to power in 2019. In the two decades during which she first helped build and then serve her father’s Peoples’ Democratic Party, Mehbooba Mufti has demonstrated time and again that she has the courage of a lioness and an incorruptibility that makes her a virtual alien in Kashmiri politics. But by resigning precipitately after meeting Governor Vohra without first considering why the BJP had chosen that moment to break the coalition, she has also shown that she is not a born politician. For in doing so, she has fallen into a trap very similar to the one that the BJP had laid for her father Mufti Mohammed Sayeed, three years earlier. The trap was sprung by submitting the BJP’s withdrawal directly to the governor, without first informing Mehbooba and leaving it to him to break the news to her. It gambled correctly that Mehbooba was tired of being betrayed by the BJP and accused of betrayal by her own people, and would not want to continue. The gamble worked. The BJP has done its best to cloak its motives. BJP general secretary Ram Madhav, who had negotiated the agenda for alliance with the PDP, said that Delhi could not stand aside and allow the violence and disorder in Kashmir to keep mounting. This was all the more necessary because the annual Amarnath Yatra was about to begin and half a million Hindu pilgrims would flock to the Valley again the next month. There had already been an attack on the pilgrims by the Lashkar-e Tayyaba in 2017, the first in 17 years, in which eight pilgrims had been killed. Bringing in Governor’s rule had, therefore, become an essential pre-requisite for the more drastic action that would have to follow. But this explanation falls apart upon critical scrutiny. For the safeguarding of the pilgrimage will have to be done by precisely the same police force, the same paramilitary forces and the same army that is doing the job today. The crucial difference will be that the police will no longer have the information that PDP supporters in the villages and towns along the two routes of the Yatra would have provided. This would make the pilgrimage less, and not more secure. So, why then has the BJP acted now? There is another explanation for this. The BJP wishes to use Kashmir as a cornerstone of a bid to return to power in 2019. If this is true, it would be a gamble born out of desperation. The Modi government’s failure to revive economic growth and create more jobs has led to widespread disenchantment among those who had abandoned the Congress for the BJP in 2014, in the hope that Modi would bring back ‘Acche Din’. A policy of relentlessly high rates of interest, compounded by demonetisation, has brought industrial and infrastructure investment to a standstill, virtually killed the construction industry and deepened the crisis in agriculture. An amateurishly implemented Goods and Services Tax has forced thousands of very small trading and industrial units to close down, This has brought employment growth to a standstill, leaving nine to ten million youth without a future. And this has happened every year for the last four years. This growing disenchantment has coalesced with growing opposition unity to inflict a string of defeats in assembly and parliamentary by-elections in recent months and brought the party close to defeat even in the centre of its Hindutva – Gujarat. The BJP’s strategists have therefore been left with only one other stratagem for victory in 2019. This is to push Hindu-Muslim polarisation to the point where fear overtakes every other sentiment and makes the Hindu majority vote in a bloc to stem an ‘Islamic tide’. Modi and his planners have realised that this strategy is now yielding diminishing returns in the mainland, by speeding up the consolidation of the opposition. It is, therefore, time to look outside the country for a source of this threat. The obvious candidate is Pakistan, and the obvious place in which to make this threat credible is Kashmir. If pulling out of the alliance without even informing Mehbooba is the first step in this plan, the second will be to replace Governor Vohra, who has already tendered his resignation, with a hardline Sanghi. The third will be to unleash the full might of the security forces, with their recently acquired cyber capabilities to ferret out and hunt down and eliminate militants and their sympathisers. Success will come when this provokes Pakistan to redouble its efforts to infiltrate fidayeen and arms across the border under the cover of intensified firing from its side of the Line of Control and step up the recruitment of Kashmiri youth into their ranks. Six months of this rising tension, stoked by many more military and civilian casualties in Jammu and Kashmir and aided by some more convenient ‘attempts’ to assassinate Prime minister Modi, might just suffice to create the hysteria that could win them the next election. If this is indeed its strategy, then it has hit one, unforeseen, stumbling block. That is that Shujaat Bukhari’s murder coincided not only with the end of Eid, but also the beginning of the Amarnath Yatra. So, removing Vohra now and putting an inexperienced person in his place now would be a move fraught with peril for the pilgrims and for the Indian State in Kashmir. Mehbooba did not have to resign. She could, and indeed should, have insisted that she would continue to govern until she had been defeated on the floor of the house. Since none of the independent and non-BJP mainstream party MLAs would have voted with the BJP, her government would only have fallen if the National Conference had not just abstained, but actually voted against her in the assembly. It is a safe bet that Governor Vohra, who is a stickler for constitutionality, would have allowed her to continue governing till she was defeated in the assembly. 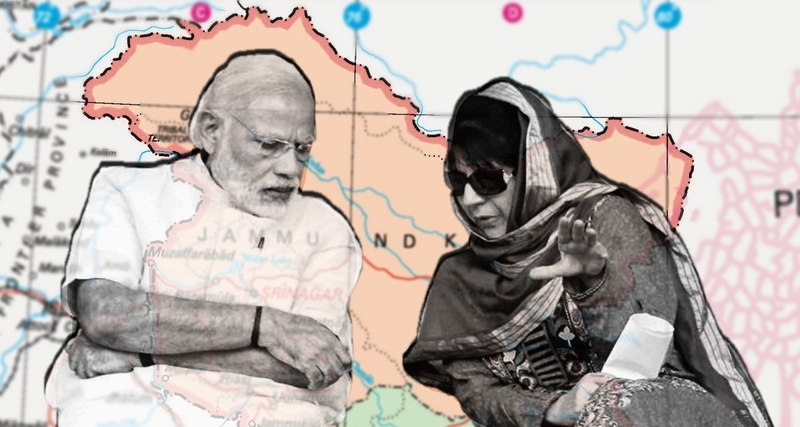 Mehbooba could, therefore, have ruled, now no longer hamstrung by the BJP, for several more months and taken a slew of initiatives, like the freeing of stone pelters and other political dissidents, offering a general amnesty to all militants who had surrendered, or were willing to surrender arms, and opening contact with the Hurriyat and other “separatist” groups to secure their help in ending the militancy and the reign of terror in the valley. Faced with the failure of their plan, the BJP would have been forced to take more drastic action to remove her. This would not only have exposed its Machiavellian design, but also partially restored the legitimacy of the PDP and revived a middle ground in Kashmiri politics. 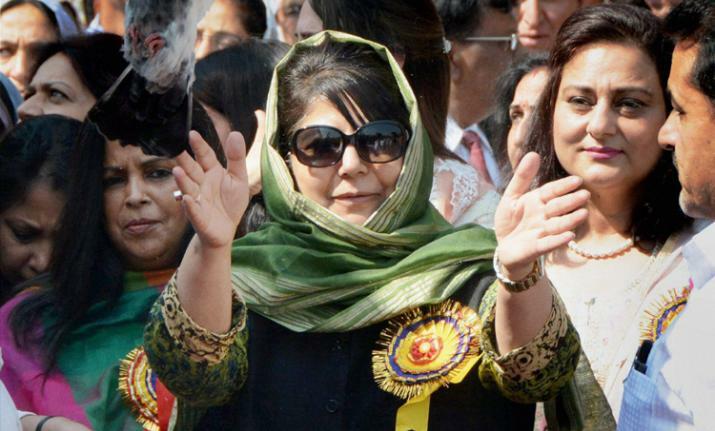 If Mehbooba Mufti is wise, she will use the two months’ respite she will now have, to explain to her party and the people of the valley why she, a Kashmiri nationalist, stayed so long in the treacherous embrace of the BJP; and what she intends to campaign for in the coming months. This must be nothing less than a full return to the commitments made in 1947 and enshrined in Article 370 of the Constitution, buttressed by the Delhi agreement of 1952. This is not only a reform that is achievable, having now been endorsed by every political party including, for one brief moment in 2016, by Prime minister Modi, but it is the best guarantee of peace for not only Kashmir, but India and Pakistan as well.